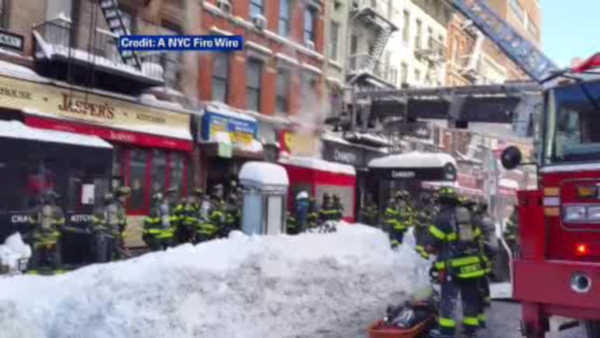 HELL'S KITCHEN, Manhattan (WABC) -- Firefighters had to work over a big pile of snow to battle a fire at the popular eatery 'Empanada Mama' on Sunday morning. Smoke poured out of the restaurant on 51st Street and 9th Avenue as a fire burned in the basement and shot through the roof. Fortunately, no one was injured. The eatery is destroyed.